If a picture is worth a thousand words, what does your iPhone case say about you? A lot if you personalize it with your favorite photo and custom design by Dande Company. Plastic case available in white, black, or pink with permanently attached white metal face plate for full-color photos, graphics, or other images. Price includes full-color imprint with submittal of high-definition photos and/or graphics at time of order. Please see Artwork File Formats for acceptable formats. Our lightweight 1-piece rubberized shell (available in black or white) attaches to your iPhone 5/5S to hold an imprinted metal insert in place. Just add your favorite photo, saying, design — whatever you want, to create a phone case that's as unique as you. Our lightweight 1-piece rubberized shell (available in black or white) attaches to your iPhone 5c to hold an imprinted metal insert in place. Just add your favorite photo, saying, design — whatever you want, to create a phone case that's as unique as you. If a picture is worth a thousand words, what does your iPhone case say about you? 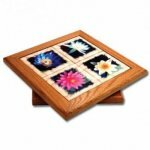 A lot if you personalize it with your favorite photo and custom design by Dande Company. iPhone 6 (standard) plastic cases with textured grip sides available in white or black with permanently attached white metal face plate for full-color photos, graphics, or other images. Price includes full-color imprint with submittal of high-definition photos and/or graphics at time of order. Please see Artwork File Formats for acceptable formats. Place in cart to order online, specify text and attach graphics/pictures/logos, and select in-store pickup or other shipping method. Credit card will be charged for 50% of the total price of the order when order is placed; total remaining amount is due in accordance with store policies. 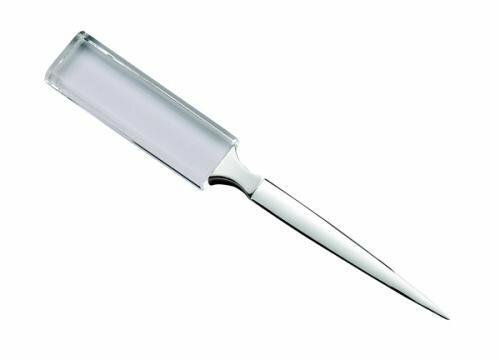 This letter opener features a clear optic crystal handle that can be engraved with your personalized message. The blade is nickel plated and will not tarnish. Overall length is 8.5". Packed in burgundy gift box with white satin lining. Price includes up to 50 characters engraved on handle. Production lead time for this product is 7 days. This product has a maximum order quantity of 7. Our letter opener with maple casing can be laser engraved directly into the wood with the message of your choice. An excellent gift for co-workers, teachers, recent graduate, and more. Can be reused with Cross brand refills. Price includes up to 20 characters engraved on one line. Our letter opener with rosewood casing can be laser engraved directly into the wood with the message of your choice. An excellent gift for co-workers, teachers, recent graduate, and more. Can be reused with Cross brand refills. Price includes up to 20 characters engraved on one line. 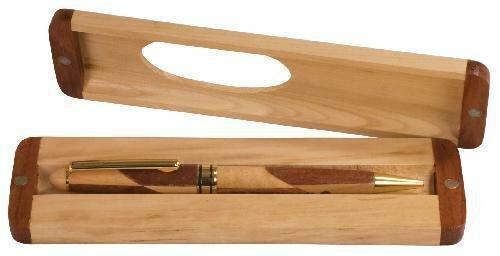 This dual-wood pen and case set features maple wood (light) and rosewood (dark) accents. Case has oval opening to show beautiful pen and closes tight with the help of magnetized closure. Includes one line of engraving (maximum 20 characters) on pen and up to two lines engraving (maximum 20 characters each line) on outside of case.